hello and we welcome again to our other post and in this post today I will show you how you can indexed your any new post in just 1 minutes. the two most important for indexing our post is Crawling and indexing. without crawling your websites you cannot generate more traffic and revenue. Imagine the world of blogging, without getting indexed by Google. So we must monitor our blog's indexing. If your blog is not getting indexed properly, you will have to face problems in future. Why Do We Need to Index Our Site Manually? as we know that google take approximately 24 -48 hours to index your new post. so if you want to be indexed without waiting for long time that's why we need to indexed our post site manually. if your blog is big and received lots of traffic In a day then your new post will automatically indexed in google in just few hrs. The GoogleBot ( crawling bot for Google ) receives the message to crawl your site. GoogleBot visits your site and indexes your post if it has no SEO violations. If your post isn't crawled within 30-60 min of time. Recheck the post, Seo setting etc. 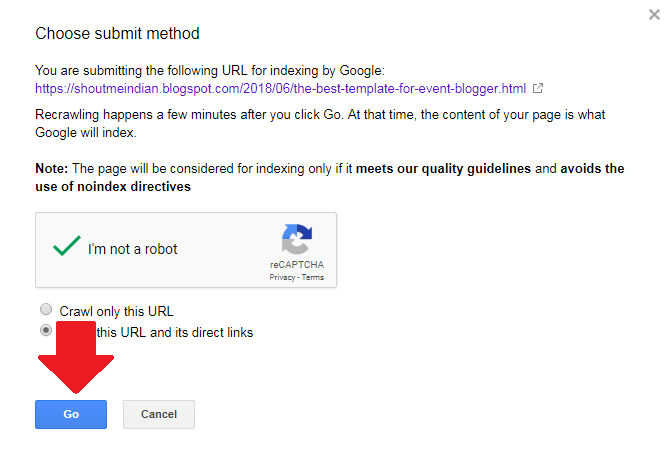 Make sure that your blog and post allowing GoogleBot to crawl and index properly. How to Index New Post Quickly In Google In 1 Minute? step1. Go to your google webmaster. step 2. Select your blog and go to Google Crawl. step 3. Select the Fetch As Google tool in the list. step 4. enter the URL of your post without your blog's url. For example, the URL of the post is yourdomain.com/example-way-to-check.html. Then you will have to add example-way-to-check.html. step 5. Then click on Fetch. step 6. Now,Click on request indexing. step 7. now complete some task and click Go button to proceed. After few minutes your post will index on google. for better result build a some backlink of your post. which may help your post in ranking. 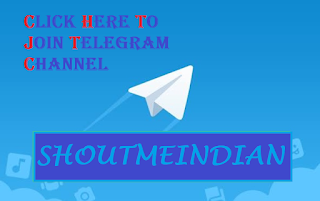 Course with Affordable digital marketing fees in Jaipur includes Search Engine Optimization, Social Media Marketing, PPC Marketing, Web Analytics, Affiliate Marketing, Email Marketing, Online Reputation Management, Display Advertising, Inbound Marketing, Content Marketing, Video Marketing. Truly remarkable article allocated by you. I got to learn a great deal of new knowledge which was until unknown to me and I am sure it would benefit many other seekers as well. I will bookmark this for future needs. Keep the good work going on! !